Your immune system works to keep illness away. It recognizes and fights potentially harmful bacteria, viruses, fungi, and parasites. If you are immunocompetent (have a properly-functioning immune system) your body is able to respond rapidly and effectively to infectious agents, preventing them from causing serious or prolonged illnesses. Given how important your immune system is to your health, taking steps to protect your immune system can go a long way in keeping you healthy. 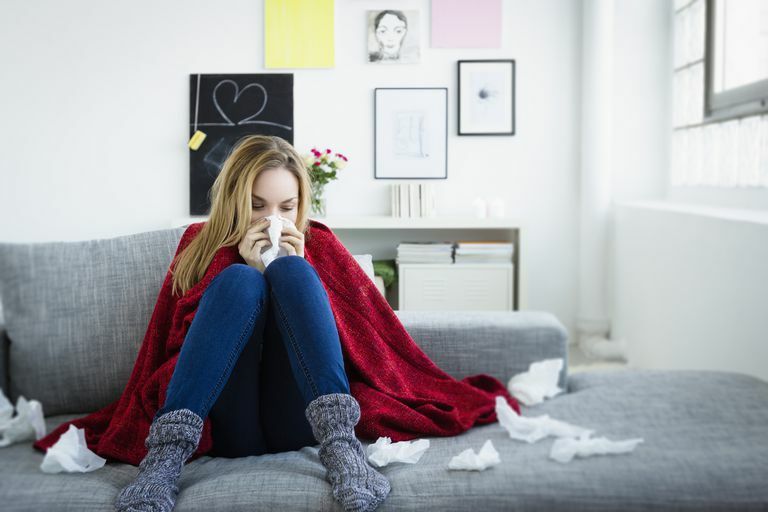 If you have a compromised immune system, you can become very sick even if you are exposed to the type of infectious organisms that don't normally cause serious harm. It is important to learn how to avoid infections if you are immunocompetent, but even more so if you are immunocompromised. You can protect your immune system by adopting healthy lifestyle habits. There is no way to develop a better than normal immune system, so maintaining optimal function is the goal. Eat a diet high in fruits, vegetables, and lean protein. These foods provide you with the nutrients your body needs to produce immune proteins, enzymes, and cells. Don’t start smoking, and make the effort to stop smoking if you already smoke. Smoking interferes with the immune function of your respiratory system, predisposing you to infections. Manage stress. Excess stress can raise sympathetic hormone function, which directly reduces your immune function. Get enough sleep each night. Sleep allows your body to maintain healthy homeostasis (consistency). Lack of restorative sleep interferes with healthy hormone balance, compromising your immune system. Even when you are immunocompetent, avoiding excessive exposure to infections is an important strategy for reducing infections. Be sure to get your recommended immunizations, especially if you work around sick people. Practice good hygiene, such as washing your hands regularly, especially before meals. Doctor, Could You Please Wash Your Hands? Having a compromised immune system (also called being immunosuppressed or immunocompromised) means that your body can only mount a diminished level of immunity in response to invading organisms. A compromised immune system also makes you more susceptible to cancer. Older age is often associated with declining immunity. Medical conditions that may result in a compromised immune system include heart disease, lung disease, diabetes, blood disorders, cancer, and autoimmune disease. These illnesses may consume too much of your body's energy and some can interfere with certain immune system proteins. A number of medications, particularly chemotherapy and steroids, can directly suppress your immune system. Adults and children who have immune system diseases, such as HIV, are particularly prone to infection because the illness itself targets immune function. Food: Fresh fruits, vegetables, and seafood can harbor infectious agents that wouldn't make an immunocompetent person sick, but can cause problems for someone who is immunosuppressed. Be sure to thoroughly cook these items. Immunizations: Some vaccines may not be as effective if you are immunocompromised. Your body may or may not respond fully to immunizations or even to your natural immunity from having had an infection earlier in life. Avoid germ-ridden settings: You may need to avoid settings and locations that are known for spreading infections, such as day care centers, hospitals, and nursing homes. Use a mask: Sometimes, wearing a mask or gloves can reduce your exposure to germs. Be sure to ask your doctor for a recommendation, and consider wearing a mask when you have to spend time on an airplane or go to your doctor's office or a hospital. Maintaining a strong immune system is vital to staying healthy. A lot of that is based on maintaining habits that protect your immune system. If you have a compromised immune system, you have to take extra steps to protect yourself from exposure to infection-causing germs. Totsch SK, Meir RY, Orlandella RM, Norian LA, Sorge RE, Effects of diet on immune cells within the central nervous system. Physiol Behav. 2018 Nov 1;196:158-164. doi: 10.1016/j.physbeh.2018.08.023. Epub 2018 Sep 3. Weyand CM, Goronzy JJ. Aging of the Immune System. Mechanisms and Therapeutic Targets. Ann Am Thorac Soc. 2016 Dec;13 Suppl 5:S422-S428. doi: 10.1513/AnnalsATS.201602-095AW. Why Does My Doctor Send Me for So Many Medical Tests?